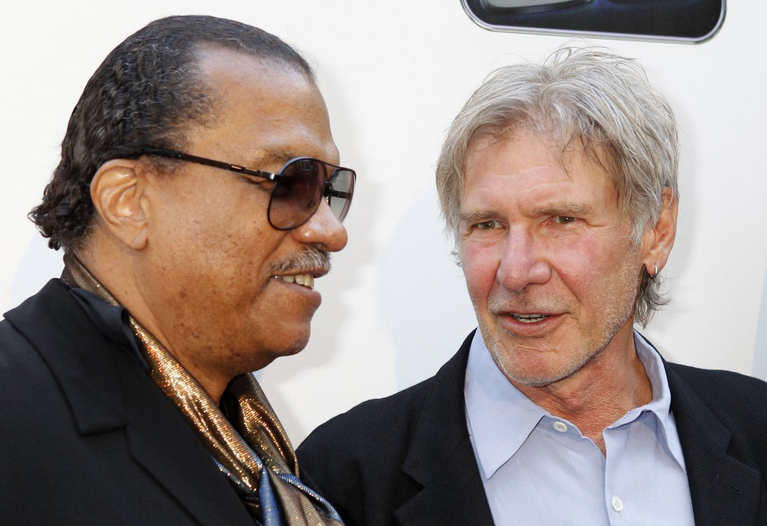 From theater to the cinema, and from television to the recording studie, Billy Dee Williams is a versatile actor/performer who is scheduled to perform on Dancing with the Stars. 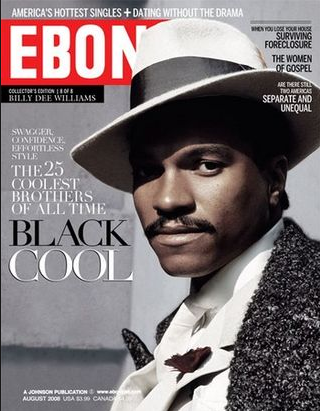 William December "Billy Dee" Williams, Jr. is an American actor, artist, singer, and writer best known for acting in the movies Brian's Song and Lady Sings the Blues, and for his roles as Harvey Dent in Tim Burton's Batman and as Lando Calrissian in the Star Wars film franchise. Williams was born in New York City, New York. He has a twin sister, Loretta, and grew up in Harlem, where he was raised by his maternal grandmother while his parents worked several jobs. 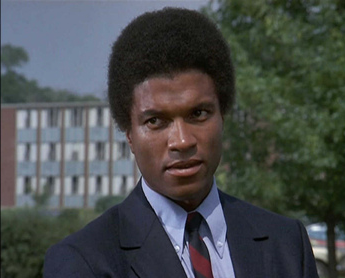 Williams graduated from the Fiorello H. LaGuardia High School of Music & Art in Manhattan, where he was a classmate of Diahann Carroll, who coincidentally played the wife of his character Brady Lloyd on the 1980's prime-time soap opera Dynasty. Even before he began acting, Williams attended the National Academy of Fine Arts and Design in New York. In the late 1980's, he resumed painting. Some of his work can be seen at his online gallery BDW World Art. 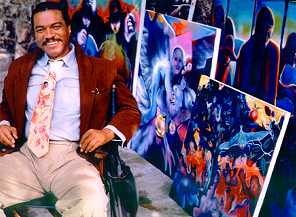 He has had solo exhibitions in various galleries around the United States and his work hangs in the National Portrait Gallery, the Smithsonian Institution and the Schomburg Museum. The covers of the Thelonious Monk Competition programs since 1990 are by Williams. He made his film debut in 1959 in the Academy Award nominated The Last Angry Man, opposite Paul Muni, in which he portrayed a delinquent young man. He rose to stardom after starring in the critically lauded blockbuster biographical television movie, Brian's Song (1971), in which he played Chicago Bears star football player Gale Sayers, who stood by his friend Brian Piccolo (played by James Caan) during his struggle with terminal cancer. The film was so popular it was given a theatrical release. Both Williams and Caan were nominated for Emmy Awards for best actor for their performances. 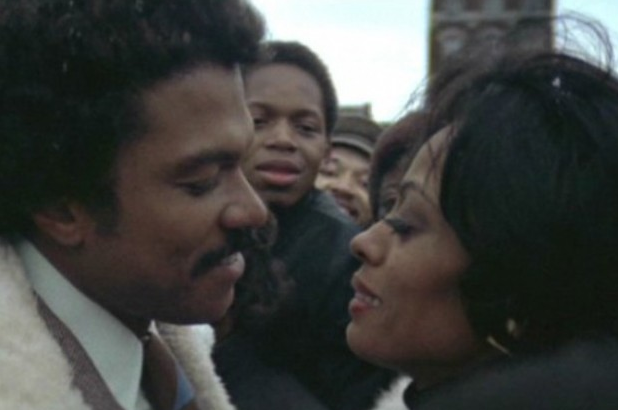 Having broken through, Williams became one of America's most well-known black film actors of the 1970's after starring in a string of critically acclaimed and popular movies, many of them in the "blaxploitation" genre. 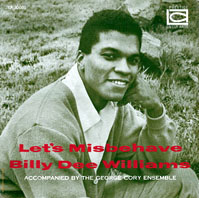 In 1972, Williams starred as Billie Holiday's husband Louis McKay in Motown Productions' Holiday biopic Lady Sings the Blues. The film was a box office blockbuster, becoming one of the highest grossing films of the year and received five Academy Award nominations. 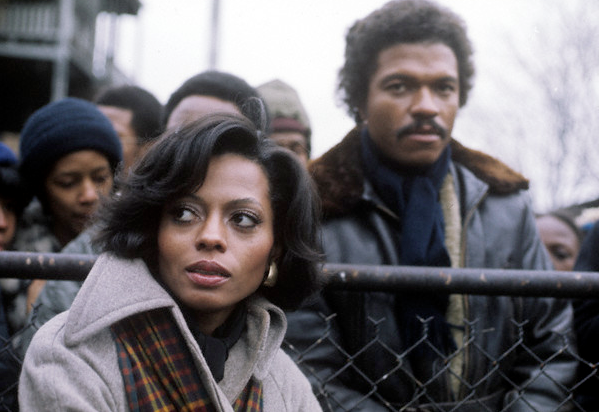 Diana Ross starred opposite Williams; Motown paired the two of them again three years later in the successful follow-up project Mahogany. the audio dramatization of Dark Empire, the National Public Radio adaptation of The Empire Strikes Back, and two productions for the Star Wars: Battlefront series: Star Wars: Battlefront II and Star Wars Battlefront: Elite Squadron. He co-starred in 1989's Batman as district attorney Harvey Dent, a role that was planned to develop into Dent's alter-ego, the villain Two-Face, in sequels. Unfortunately for Williams, that never came to pass; he was set to reprise the role in a more villainous light in the sequel Batman Returns, but his character was deleted and replaced with original villain Max Shreck. Williams's television work included a recurring guest-starring role on the short-lived show Gideon's Crossing. He is also well known for his appearance in advertisements for Colt 45 (a brand of malt liquor) in the 1980's and early 1990's, for which he received much criticism. Williams responded indifferently to the criticism of his appearances in the liquor commercials. When questioned, he allegedly replied by saying, "I drink, you drink. Hell, if marijuana was legal, I'd appear in a commercial for it." reprised his role as Toussaint on General Hospital itself beginning in June 2009. Also in 2009, he took on the role of the voice of Admiral Bitchface the head of the military on the planet Titan in the Adult Swim animated series Titan Maximum. In July 2010, Williams appeared in the animated series The Boondocks, where he voiced a fictionalized version of himself in the episode "The Story of Lando Freeman." In 2011, Williams appeared as a guest star on USA Network's White Collar as Ford, an old friend of Neal Caffrey's landlady June, played by Diahann Carroll. In 2012, Williams was the surprise guest during a taping of Oprah spotlighting Diana Ross. 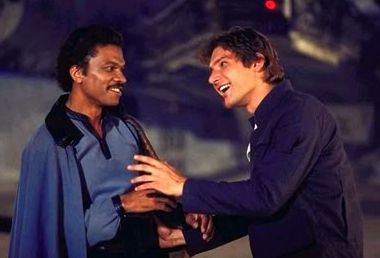 Ross and Williams were reunited after having not seen each other in 29 years. It was announced in 2014 that Williams will be competing on the 18th season of Dancing with the Stars. He partnered with professional dancer Emma Slater. The couple had to withdraw from the competition on the third week due to an injury on Williams' back. 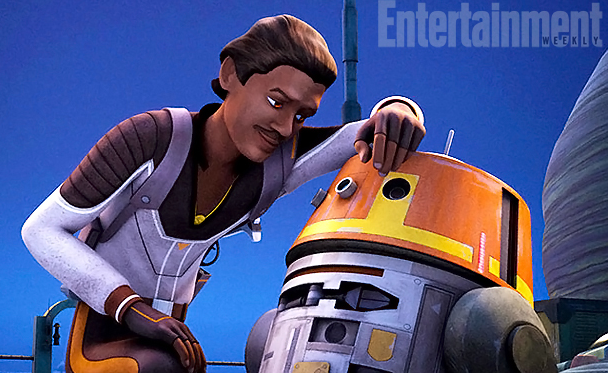 Williams will provide the voice of Lando Calrissian in the upcoming 2014 Star Wars Rebels cartoon series. BDW:I always found myself to be an artistic person. I would look at things and see the beauty and want to give my own personal take on it. BDW: I want to be remembered as being a hard working performer. I always tried to give my very best. I always tried to bring something extra to any role that I did, on stage or on screen. I took my roles seriously and put every ounce of effort and more that I had into them.